Epidermis, the outermost layer of the skin, provides the critical protective barrier needed for terrestrial life. The process of epidermal barrier formation includes conversion of the essential fatty acid linoleate into skin-relevant oxidized lipids. Two lipoxygenase enzymes, 12R– LOX and eLOX3, initiate this conversion pathway. 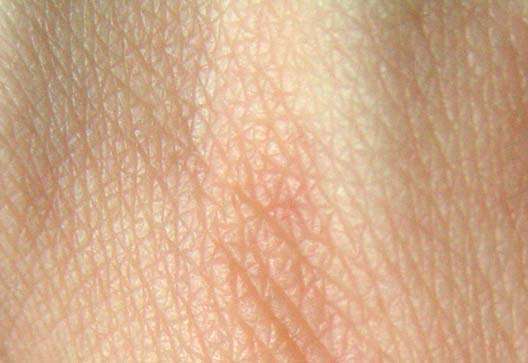 An inactivating mutation in either enzyme leads to trans-epidermal water loss and the fish-skin symptoms of congenital ichthyosis. But how this oxidation pathway is completed was not clear. Now in a study published in the Journal of Lipid Research, Alan Brash, PhD, and colleagues evaluated candidate epoxide hydrolase enzymes that could participate in this conversion. They found that the enzymes EPHX2 and EPHX3 produce the end products of the 12R-LOX pathway in the epidermis, implicating their role in the formation of the mammalian water permeability barrier. This work not only extends the basic understanding of a vital process for mammalian survival, it suggests a possible avenue for improving treatment of common skin barrier conditions such as atopic dermatitis.